The first game in the Devil May Cry HD Collection is out early for Amazon Prime subscribers via Twitch. Unfortunately, it’s arrived with some minor issues, including a bug that makes the game run like it’s got an unofficial, never before seen turbo mode. 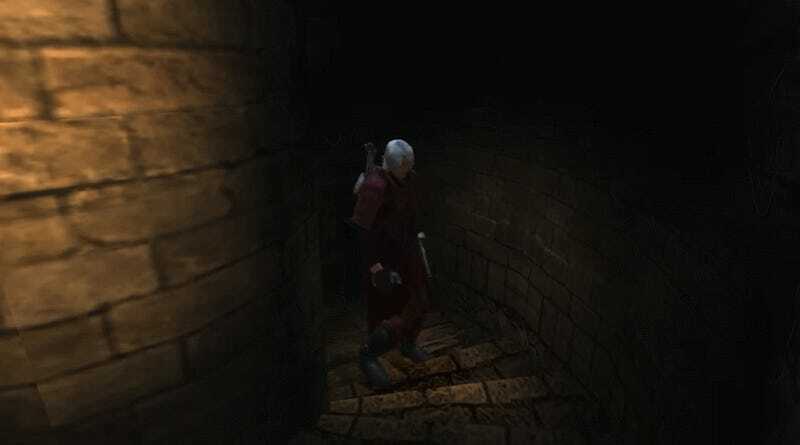 The new version of the original Devil May Cry, which originally came out in 2001, has been acting up on some people’s computers, That’s led to scenes like the above, where Dante does his best Sonic the Hedgehog impression. Everything is sped up similar to Final Fantasy XII: The Zodiac Age’s fast-forward mode. Devil May Cry has always been a fast-paced action game, but this pushes it to the breaking point. The problem hasn’t affected everyone. I booted up the game and was able to run around just fine. Some people have speculated that the issue has to do with how the game handles framerates, and that something isstopping the gamefrom locking to 60fps. On 60Hz monitors it doesn’t appear to be a problem; players with increasingly common high refresh-rate monitors have been the ones reporting anomalies. The Devil May Cry HD Collection comes out March 13 on PS4, Xbox One, and Steam, but is currently free for Amazon Prime subscribers. The first game is already available to start playing. That’s how people first caught wind of some of the PC version’s issues, most of which are more granular than the framerate bug. YouTube user Kel Lind posted a video earlier this week that hones in on stuff only diehard Devil May Cry fans are likely to notice, and even then only if they’ve recently played the PS2 version. This includes stuff like the lack of proper blur trails when Dante’s in the air as well as some audio glitches, like sped up music and broken audio looping. That shouldn’t stop you from going and claiming the game on Twitch if you already have Amazon Prime, though. I was testing the game out today and had forgotten how much I love the mood and rock gothic fee. Devil May Cry may be a relic, but it’s still a fascinating one to return to.